So, how was your day so far? Quite good, you say? Well, there is an easy way to change that. Maybe you will say that you are a strong person, emotionally stable. But believe me, at the end of this article, you will understand me. You will look back on this text and there will be tears and a smile on your face. Exactly, a smile. Because you have done it. So, let’s name the monster. This article will be about German sentences. Of course there are rules about word order, but, you know, there are also some exceptions. Well, many exceptions to be honest. Nevertheless, you will to master this beautiful language is stronger than this. 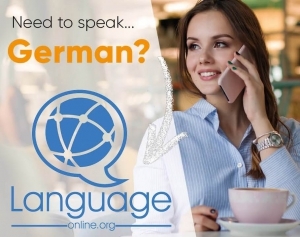 And hopefully I can help you the understand the basic of German sentences in this article. So, to make it somehow easier, I will structure this article into four chapters, which in a whole, will give a complete idea of German Sentences. 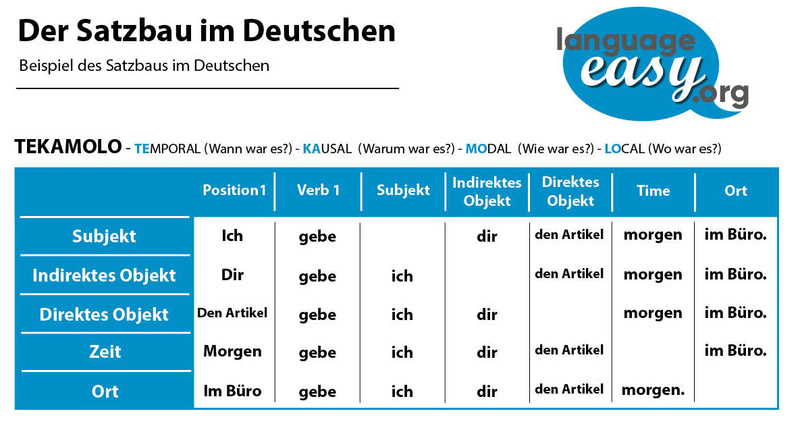 So, we have reached the first point in this article, the conjunctions which change the word order in German sentences. Of course, you all know that the regular word order in German sentences is the following. Subject – Verb – Object. Now, there are conjunctions which change this word order. And, of course, there are some, which don’t change anything. First, the ones which don’t influence the word order in German sentences are called “Coordinating Conjunctions”. Here you have some examples. So, the conjunction which influence the word order are called “Subordinating Conjunctions”. In the following, I will show you another table with some examples for this kind of conjunctions. Now, let’s illustrate what I mean when I say that these conjunction change the word order. So, as a general rule you can say, that the verb gets moved to the end of the clause, when a subordinate conjunction is used. – But he is a lazy man. Subordinate Conjunction: “Ich mag ihn nicht, weil er ein fauler Mann ist.” – I dont like him because he is a lazy man. Although this case might seem rather complicated, you will master it with some practice. Let’s come to the next point, the position of the verb at the end of a German sentence. So, let’s come to the next topic of this article, the position of a verb in a German sentence. Well, in some cases, the verb of a sentence simply has to be at the end of the sentence. Luckily, there are some rules determining theses cases. Now, we will have a look on the two most important ones. By the way, there is golden rule you should always remember: The verb in a German main sentence is always at the second position. So, in German sentences in the verb always goes to the end of a sentence, if a modal verbs is also used in this phrase. Maybe this might seem rather strange to you – but hey, it is German. So stop asking questions. Well, in this case, we also have a clear rule. In a relative clause, the verb also goes to the end of the sentence. Unfortunately, it gets a bit more complicated. If there are two verbs in a relative cause, the main verb also goes to the end, while the auxiliary verbs stays on its position. Yes, you have survived it – there are no more rules in this case. So, let’s see some examples. “Das Geschenk, das ich meiner Mutter gekauft habe, ist nicht mehr in meinem Zimmer!” – The present I’ve bought for my mother is not in my room anymore. Well, you are lucky – I have more rules for you. They are all about one topic, the inversion of German sentences. So, don’t let us loose too much time – here is the most important rule that will tell you when you have to invert a German sentence. Any time a temporal adverb or prepositional phrase comes at the beginning of the sentence, the verb has to come in the second position. Here are some examples that illustrate what this actually means. “Morgen fängt die Schule an” – Tomorrow, school will start. “1939 fing der zweite Weltkrieg an” – In 1939, second world war began. Seine Wohnung habe ich nie gemocht – Er hat einfach zu viele Katzen! – I never likes his apartment – he simply has too much cats! Without a doubt TeKaMoLo plays a important role in the German sentences. This rule helps us to identify the word order in a sentence. There is no fix rule for TeKaMoLo, it is only a guidance. You can also be here a little bit flexible. For example if you want to put the place as more important, then you can also put it in front of the verb. So, applying these rules to adverbs, you simply have to keep in mind that adverbs also have to follow this order. Finally, we will have a look on a example sentence. “Vater ist heute nach Hause gekommen und sagte, dass er Pizza mitgebracht hat. – Today, dad came home and said that he brought pizza. I had to hurry because I still wanted a slide of it. Well, let’s analyze this last (I promise, the last one) example sentence. The modal verb “wollte” is at the end of the sentence as “weil” is this type of conjunction. Here, “Dass” does the same thing, moving “hat” to after “mitgebracht”. So, I think that is enough to get the basic of German sentences. Luckily, there are some really useful rules that help you understanding this rather complicated topic. Always keep practicing you vocabulary, keep in mind the rules and try to remember exceptions. As a consequence, German might get a lot easier as you might think. And if not, have a look on this book of Mark Twain with the title “The Awful German Language”. Here, you can find someone sharing your pain, so maybe it will hurt less. As a last but not lease important part of German Sentences, we should mention the grammatical cases. Especially for English speakers that might be difficult, as they do not appear like this in the English language. So, in German we have the nominative, genitive, dative and accusative case. Well, this article would become too long if we would talk about every single one in detail. So, in case you want to know more about every single case, just have a click on the corresponding one and you will be redirected to the article about it.